This coffee will be fresh roasted for you. 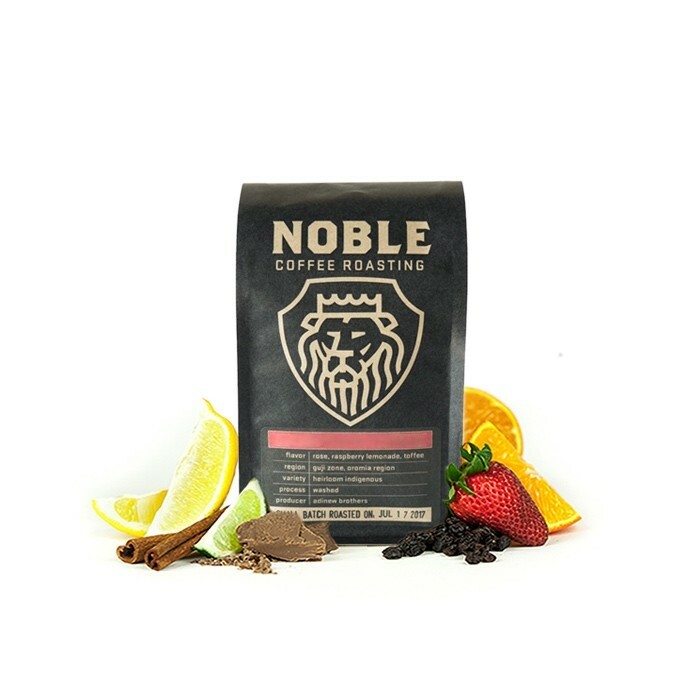 We expect Noble Coffee Roasting will roast and ship this coffee in 1-2 business days depending on their roasting schedule. The Kenya Getuya AA Organic was carefully roasted for you by Noble Coffee Roasting. This Organic certified and anaerobic washed coffee was sourced from the growing region of Kirinyaga in Kenya and was produced by Samuel Muchiri at 2,000 meters. This coffee has the quintessential Kenya profile with notes of black currant, and grapefruit with a caramelized sugar sweetness. Kenya AA never let me down. strong and high quality acidity with the clear aroma of black currant. Love it! This one is very delicious!